The eyes are one of the most focal parts of the face, and they serve an important role in the way your facial features come together. But the delicate tissues surrounding your eyes can be affected by age-related changes. These changes may include: sagging or excessive wrinkling of the skin, puffiness, and fat protrusion from the lower eyelids, creating “eyebags.” Patients who have undergone any of these changes often complain of looking tired or aged. If you are dissatisfied with similar cosmetic changes, then it may be time to consider the benefits of blepharoplasty. Blepharoplasty (eyelid surgery) is a surgical procedure that can improve the appearance of your upper and lower eyelids by trimming and/or resurfacing excess skin, removing excess fat and repositioning the surrounding facial tissue. Eyelid surgery can also be performed when sagging or drooping eyelid skin is affecting a patient’s vision. No matter your reasons for seeking blepharoplasty, plastic surgeon Dr. David Cangello can rejuvenate the appearance of your eyelids for a more refreshed look, and he can restore proper function to the eyelids in the case of obstructed vision. Ready to explore the benefits of eyelid surgery? Contact plastic surgeon Dr. David Cangello today at (212) 644-4416 to schedule a consultation for blepharoplasty in NYC. You may not be a good candidate for blepharoplasty if you have a medical problem that affects your eyes. Medical conditions that may have an impact on ocular function include: hypothyroidism, dry eyes, glaucoma, high blood pressure, cardiovascular disease, and diabetes. If you have any of these conditions, Dr. Cangello may require you to obtain approval from your ophthalmologist before planning a surgical procedure. In any case, your medical history will be reviewed at the time of your consultation to further determine your candidacy for eyelid surgery. 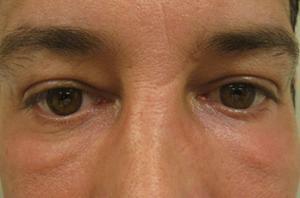 Ideal candidates for blepharoplasty should also have reasonable, optimistic expectations for their procedure. The goal of eyelid surgery is to produce natural-looking rejuvenation within the limits of your own anatomy and facial structure. Feel free to browse our before-and-after photo gallery to see what kind of results are possible. And if you have other areas of concern, Dr. Cangello would be happy to incorporate additional procedures into your treatment plan, like a facelift, brow lift or fat transfer. Fat transfer in particular can significantly improve the appearance of hollows beneath the eyes, which is why many patients choose to have this procedure performed in conjunction with blepharoplasty. Cangello Plastic Surgery has established a reputation for providing top-notch results and unmatched expertise. Dr. Cangello’s practice is structured around making patients feel safe, comfortable, and welcomed as they begin their journey toward considering cosmetic enhancements. From your initial consultation to your follow-up appointments, you can expect to be treated with the utmost professionalism and personalized care. 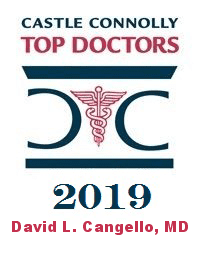 Dr. Cangello combines this hospitable approach with his surgical expertise, which was perfected through invaluable mentorships led by some of the leaders in the field of plastic surgery. Whether you choose to undergo blepharoplasty alone or you’d like to incorporate additional procedures into your treatment plan, Dr. Cangello will provide you with the highest level of surgical proficiency and personalized care every step of the way. 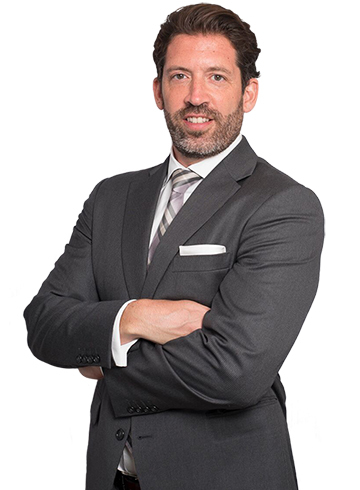 Dr. David Cangello is trained in general surgery as well as plastic and reconstructive surgery, and he is board-certified by the American Board of Plastic Surgery. Both his rigorous education and training have set the bar of excellence that formed the foundation of his career. This standard of excellence can be seen in every facet of his practice, from his courteous and professional support staff to his surgical expertise. In addition to his elite training and education, Dr. Cangello holds a deep appreciation for art and he has an intuitive sense of how to create beautiful aesthetics. Accordingly, his plastic surgery practice is grounded in the principles of artistry, allowing him to visualize what kind of enhancements would perfectly complement a patient’s natural anatomy. When it comes to eyelid surgery in NYC, Dr. Cangello is your personal expert. Dr. Cangello believes that the art of plastic surgery should start with a strong doctor-patient relationship, which is why your journey toward considering blepharoplasty in NYC will begin with a personal meeting. Dr. Cangello facilitates friendly, informative consultations where all of your questions or concerns about eyelid surgery will be addressed. His goal as your plastic surgeon is for you to be as informed and comfortable as possible, so you can make the decision that’s best for you. You will have a chance to fully discuss your reasons for seeking blepharoplasty, in addition to discussing your cosmetic tastes and goals. Dr. Cangello will also conduct a physical examination, which will include an assessment of the eyelids and periocular tissues. Your medical history will also be discussed during the consultation to rule out any conditions that affect the eyes. With all of this information in mind, Dr. Cangello can create a treatment plan that is aligned with your ultimate goals from blepharoplasty. This surgical treatment plan may include performing a procedure on the upper eyelids, the lower eyelids, or both. It may also include the use of laser resurfacing to smooth wrinkles and tighten excess skin. Dr. Cangello will also explain how to prepare for your blepharoplasty, as well as what you can expect during recovery. For some patients, undergoing any kind of procedure can be a bit stressful. To alleviate these anxieties, Dr. Cangello strives to provide patients with helpful information during every step of the process so they know what to expect. During your initial blepharoplasty consultation, you will be given a pre-operative plan that details instructions you’ll need to follow before your day of surgery. This plan is specifically designed based on your unique needs, making sure you achieve the best possible outcome from eyelid surgery. Your pre-operative instructions may include dietary changes, avoiding taking certain medications before surgery, and not smoking for at least two-to-four weeks before and after surgery. Dr. Cangello will also provide you with post-operative guidelines to help you have a safe and successful recovery, and he will explain what you may need to purchase, including cold packs and artificial tears. Blepharoplasty can be approached in several different ways, and the exact technique and incision sites rely on many factors, including whether you are having any additional procedures done simultaneously. Prior to your surgery, Dr. Cangello will discuss which techniques and incisions will suit you best. 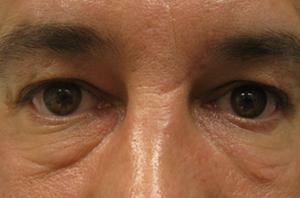 For an upper eyelid blepharoplasty, the incision follows the natural skin crease in the eyelid. Any resultant scar will be virtually undetectable. For lower eyelid surgery, the incision is made inside the eyelid or just below the lower eyelash margin. This incision placement will ensure a completely hidden scar. An incision is only made on the outside of the lower eyelid when excess skin needs to be removed. Using these incisions, Dr. Cangello will gently separate the skin and muscle from the underlying tissue. He will then remove excess fat, skin, and muscle needed to create the desired result. Finally, the incisions will be closed using tiny sutures. A typical blepharoplasty procedure takes about forty-five to ninety minutes to complete depending on whether one or both sets of eyelids are being operated on. Where Will My Blepharoplasty in NYC Be Performed? For optimal comfort and safety, Dr. Cangello performs blepharoplasty at his fully accredited, state-of-the-art operating room in his NYC office. You are encouraged to ask for a tour of the operating facility when you come in for your eyelid surgery consultation. Alternatively, if you prefer having your procedure in a hospital setting, he can perform your eyelid surgery at Manhattan Eye, Ear, and Throat Hospital (MEETH) in NYC. What Kind of Anesthesia Is Used for Blepharoplasty? Blepharoplasty on the upper eyelids alone often requires just a local anesthetic. However, patients who are anxious or uncomfortable about the thought of being awake during surgery should have intravenous sedation “twilight anesthesia.” Dr. Cangello requires lower eyelid blepharoplasty patients to have intravenous sedation for their procedure since the incision is usually made inside the eyelid. What Can I Expect from Recovery After My Blepharoplasty In NYC? 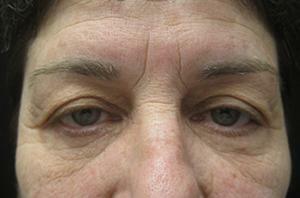 After blepharoplasty, your eyelids may feel tight and achy. You might also experience a dry or itchy sensation, and your eyelids may be difficult to close. Pain medication will be prescribed to alleviate any discomfort. Bruising and swelling are common after a blepharoplasty procedure. Using cold compresses and keeping your head elevated when you are lying down can help reduce these symptoms. Bruising will be the worst on the second or third day, but it should improve significantly within one-to-two weeks. Dr. Cangello will instruct you on how to clean your eyes and when to use eye drops. 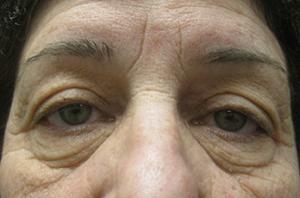 Any external sutures will be removed within one week after blepharoplasty. Following eyelid surgery, you should avoid excessive activity for three-to-five days for the best outcome. Most patients are comfortable going out in public within ten days, and you can typically resume regular activities three weeks after blepharoplasty. Will I Have Visible Scars After Blepharoplasty? Many NYC patients are understandably worried about the potential for visible scars after their blepharoplasty procedure. Dr. Cangello takes great care during eyelid surgery to make incisions in areas that will be naturally hidden, like the contours of the eyelid crease or within the lower inner eyelid. Once your incisions have healed, they will be undetectable. Can I Wear Glasses or Contact Lenses After My Blepharoplasty? Feel free to wear glasses after your eyelid surgery, but you will need to wait before wearing contact lenses to avoid interrupting the healing process of your incisions. It’s recommended that patients wait about two weeks after their blepharoplasty procedure before wearing contact lenses. Are There Any Potential Complications from Blepharoplasty? Blepharoplasty is generally a very safe procedure, especially when performed by a board-certified plastic surgeon on appropriately selected patients. However, as with any surgery, there are still slight risks involved. General risks include adverse reaction to anesthesia, poor healing, and infection.